Liege waffles are Belgium’s finest waffles. If you’re interested in making your own, here are some of the best Liege waffle makers that you need to consider owning. When I was a kid, the only kind of waffles that I was acquainted with were Eggos. You know, those frozen things that you pop into a toaster and then eat with an unhealthy amout of butter and maple syrup. Those frozen waffles taste great for what they are, to be fair. But remember, these mass-produced waffles were primarily machine-manufactured on an assembly line for people who don’t have a waffle iron at home. It still can’t beat the taste and texture of waffles that you have lovingly prepared yourself, using your own waffle maker. Now, as an adult, I am glad to report that my expertise on waffles has finally grown past Eggos. It doesn’t matter what kind of waffle it is- Belgian, American, Brussels, Stroopwafels, Hong Kong style,- you name it, I have eaten it. And just as expected, the best waffles are those that you have made yourself. However, if you plan on investing in your own waffle maker / waffles iron, make sure to decide on the kinds of waffles that you want to make beforehand. Hong Kong-style waffles and Stroopwafels, for example, need specialized equipment to make. But for other kinds of waffles, like the classic American or Belgian, you can get by with most waffle irons that are available on the market today. My own personal favorite are Liege waffles. While they’re relatively new to the American culinary landscape, Liege waffles are the most common form of waffles that are sold in Belgium. Unlike other kinds of waffles, toppings and syrups are often unnecessary for Liege waffles because they’re already naturally sweet. 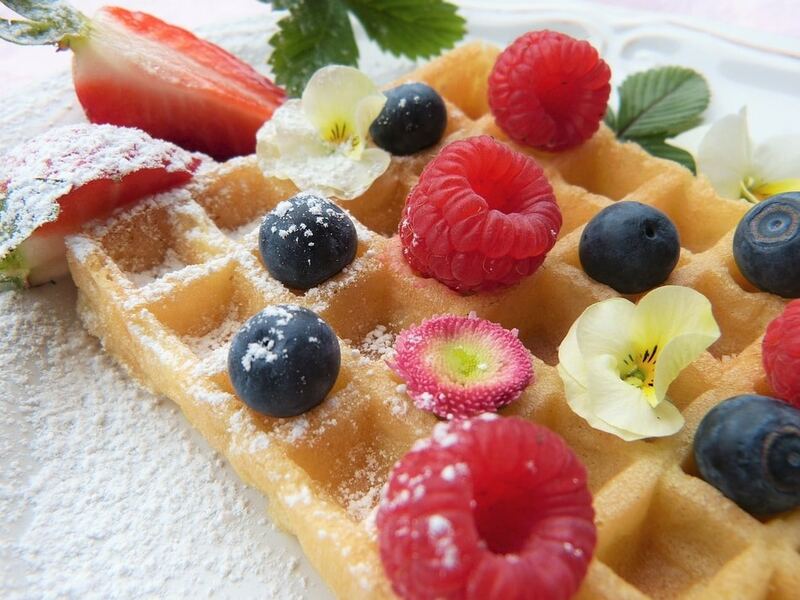 The waffles contain Belgian pearl sugar that caramelizes and flavors the dough while it is being cooked. However, Liege waffles can be harder to make than regular waffles. For one, it is preferable to have a waffles iron that can be rotated to 180 degrees. The reason for this is that the melted sugar can build up and pool to the bottom plate; if the waffles iron can’t be rotated, the sugar will just stay there. You need the rotation to distribute the sugar more evenly. 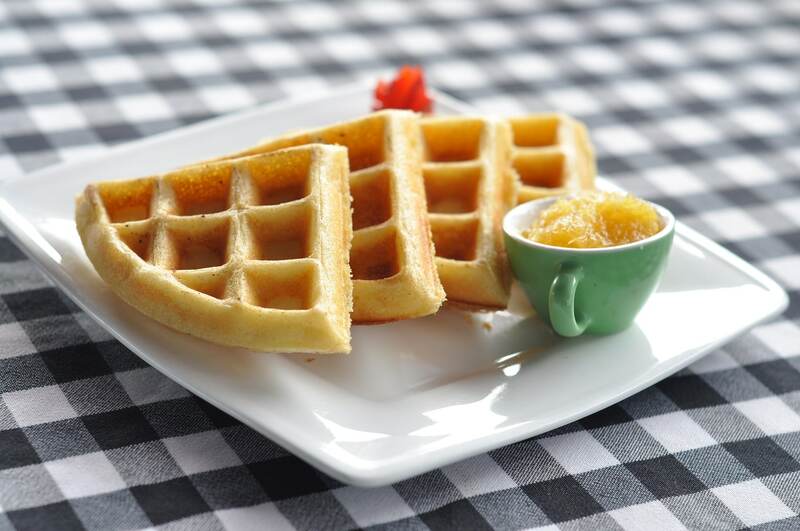 Liege waffles are also made out of dough instead of the usual liquid batter like in other waffles. 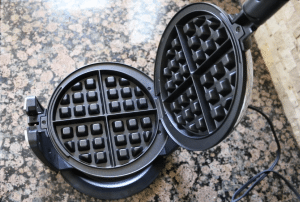 The waffle maker should be heavy enough to press the dough into its distinctive waffle shape, while still generating constant heat to cook it thoroughly. Those that have non-stick coatings are also great, since they are easier to clean up. With that said, here are some of the best waffle makers for making Liege waffles that you can choose from. 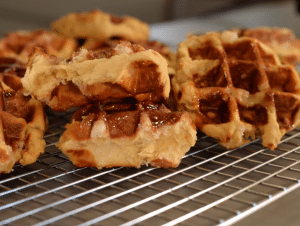 If you like experementing with your waffles, this semi-manual device is a great option. 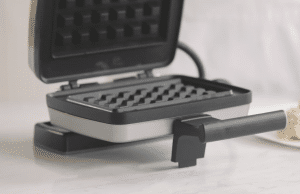 This awesome Liege waffle maker is perfect for professional chefs. If you're after the ease of use, this model can be operated by anyone, no cooking experience required. Cooks waffles really fast! Perfect for those who are always in a rush during breakfast. Croquade, as a Belgian company, understandably manufactures some of the best waffle makers in the world. The Croquade U11002 Belgian Waffle Maker is a clear example of that fact. First off, it’s important to note that this waffle maker is not one of those one-button gadgets that can churn out mediocre waffles at just a push of a button. This is almost a manual device; if you don’t want to put in the time and effort to use the device properly, then this might not be for you. However, if you want to make some of the best Liege waffles that you’ll ever taste in your life, then you’re in luck. The Croquade U11002 rewards that kind of diligence. I also have to give it extra brownie points for being such a versatile gadget. Out of the box, you’ll get multiple plates that you can switch up depending on the kind of waffle that you want to make (e.g. stuffed waffles, Belgian, Liege, American-style). There’s an adjustable 8-temperature control setting, so you can cook your waffle the way you want it to be cooked: whether you want it soft and light or brown and super crispy. 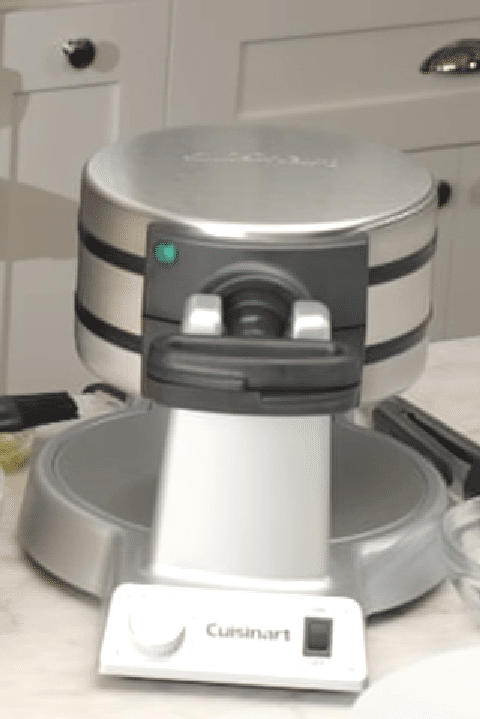 For Liege waffle enthusiasts, they’ll be glad to know that the device has dual-heating elements, and that the whole thing can be rotated 180 degrees. Having equal and consistent heating on both sides of the waffle iron is the secret to making great-tasting Liege waffles. The Croquade U11002 also has a non-locking design (which is practically a standard for all waffle irons in Belgium) to accommodate the expanding and rising waffles as they cook. *Very versatile, with a variety of cooking options for different kinds of waffles. *Super easy to clean up. Just wipe the surface with a slightly damp and soapy towel and you’re all set. *There is no automatic alarm that will tell you if the waffle is already cooked. You have to figure it out yourself. This particular waffle maker I’ve chanced on by accident. I was at a hotel for a conference and the chefs there made some of the best-tasting Liege waffles I ever had in my life. Naturally, I went up to the guy who was making the waffles and asked what kind of waffle maker they were using. The Cuisinart WAF-F20 Double Belgian Waffle Maker was the answer. If professional chefs are using this particular model to cook, that seems like an excellent vote of confidence for me. So off I went to purchase this Cuisinart WAF-F20. When it arrived, I just can’t believe how much value I’m getting for the price I paid for this awesome Liege waffle maker. So for less than 100$, you’re getting a professional grade waffles iron right inside your own home. The Cuisinart WAF-F20 is a “double” waffle maker, so it can bake two Belgian waffles at the same time without much trouble. This is great if you have voracious waffle-eaters in your household. The whole unit feels pretty solid and sturdy, with its hefty frame and stainless steel exterior. There is a large rotary handle that you can use to flip the grid to evenly cook the waffles. The waffles grid of the Cuisinart WAF-F20 can produce extra deep, one-inch thick waffles so there’s plenty of space for your toppings and syrups. Those that like to make Liege waffles can appreciate the fact that this device can flip 180 degrees (like all good Liege waffle makers should) and a 6-setting browning control knob. You can cook your waffles to your desired doneness- whether it’s from fluffy and light to super crispy and brown. 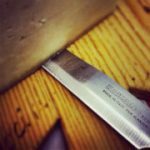 There’s no guesswork when it comes to the cooking process itself too. The Cuisinart WAF-F20 has audio beeps so that you’ll know exactly when the waffles are done cooking. Just pour the batter, flip, wait, and you’re done! 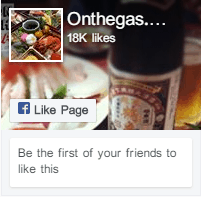 *Produces excellent waffles– as if a professional chef has made them! *Can be easily cleaned. Waffles grid has a non-stick coating. *Pricier than most household waffle makers on the market today. Restaurant-quality waffles, from the comfort of your own home- that’s what the Hamilton Beach Flip Waffle Maker promises. And amazingly enough, it delivers on that promise. Even the aesthetics of this waffle-maker screams “restaurant-quality”. Its brushed stainless steel exterior makes it look really professional, as if trained chefs are supposed to be the ones who should be using the device instead of a regular Joe who just wants waffles for breakfast. But ironically, the Hamilton Beach Waffle Maker can be operated by anyone, no cooking experience required. The ultra flip design allows you to flip waffles like a pro; just grab the handle, flick your wrist, and your waffle will soon be cooking as if you’re cooking it inside a professional chef’s kitchen. Operating the device is pretty simple: you need to preheat the waffle maker first (just wait until the READY button lights up), place the dough or pour in the batter in the middle, then flip the whole thing to lock it into place. After five to eight minutes (again, the cooking time is dependent on how you want your waffles to turn out), your waffles should be done. 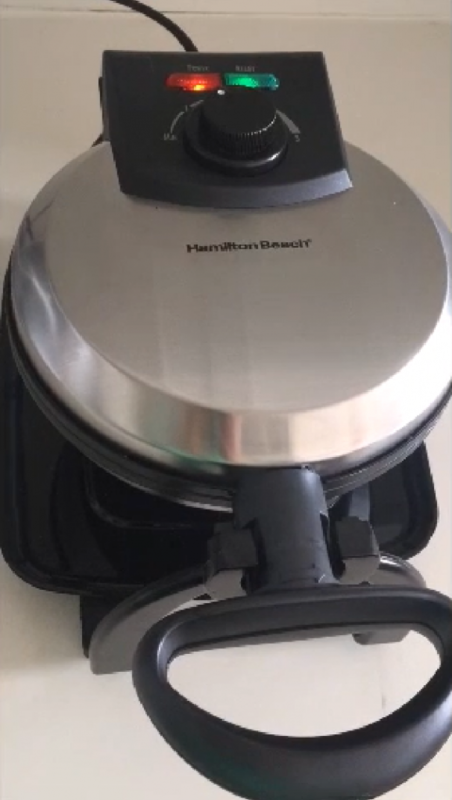 Because of the Hamilton Beach Flip Waffle Maker’s non-stick coating, the waffles should just slide off of it easily. It doesn’t really matter what kind you’re cooking since the iron’s deep-grooved grid design can perfectly accommodate any kind of batter or dough that you throw at it. You can be assured that it’ll cook perfectly everytime. Though, at first glance, it might look like it’ll be a chore to clean- but it’s really not. There’s a drip tray at the side that can catch excess batter and the whole body of the waffle maker is non-stick. Clean up is pretty much wipe and dry. The grids and try are also removable, and are dishwasher safe. *Looks very impressive and professional. Design is pretty sleek. *Can cook waffles in twelve different ways. *Clean up is practically a breeze. *Takes a longer time to cook waffles compared to other waffle makers. If you want a no-nonsense Liege waffle maker without the fancy bells and whistles, then the Oster Flip Belgian Waffle Maker is the right waffle maker for you. You don’t need to guess when your waffles are cooked! The machine actually tells you when the waffles are ready. No need for guesswork and estimation. Other waffle makers only have a temperature indicator on the side, but they wouldn’t actually tell you if the waffles are already cooked. This Oster Waffle Maker takes out all the guesswork out of the cooking process. The waffle making process goes like this. First you plug the device in, and wait for it to warm up (just wait for the green light indicator to turn on). Immediately pour the batter on the waffle grid; it will start cooking once the batter touches the iron. Close the lid, and flip it. As the green light turns on again, flip the device right back to its original position. Open the lid and take out your beloved waffles. It’s that easy. If you want lighter and fluffier waffles (or crispier and almost crunchy ones, if you prefer), then simply adjust the temperature setting. This unit heats up fast, so you wouldn’t have to wait around for your waffles to be cooked. *Cooks waffles really fast! Perfect for those who are always in a rush during breakfast. *Tells you when your waffles are cooked. No need for guesswork. *Waffles are simply phenomenal. The unit comes with a recipe pamphlet for more waffle recipes that go beyond the usual breakfast fare. *Is pretty compact and can be stored vertically. Great if you have limited shelf space. *You can’t remove the plates. You would have to clean them while they’re on the unit itself. This can make clean up tricky, even if the plates are non-stick. The most important qualities that you need to determine from a waffle maker is its ability to disperse heat evenly and if whether or not it can be flipped. Liege waffles need to be cooked from both side properly, if not, you’ll just be left with substandard waffles that no one would want to eat or touch. All of the waffle maker choices above can do that, and as such, make them great devices for those who like Liege waffles. At the end of the day, your choice of waffle maker really depends on what your own personal tastes and preferences are, as well as your own circumstances. There are waffle makers that can make phenomenal waffles, but they take just far too long to cook. There are those that can cook waffles quickly, but are a chore to clean up. The price is also not a best gauge for determining a waffle maker’s quality, but you can be assured that you’ll get a durable product most of the time.